As discussed in an earlier article, a good all-rounder is worth his weight in gold. If there is a young cricketer who shows promise and has a lot of potential, it is worth persisting with him as he can develop into a top-class all-rounder. Sri Lanka has struggled to produce a top-class all-rounder in the Test arena. In fact, even if you applied a very liberal cut-off of 1,000 runs and 50 wickets in Tests, there had been only 4 Lankan cricketers who have achieved the feat: Sanath Jayasuriya, Chaminda Vaas, Muttiah Muralitharan and Rangana Herath. And none of these cricketers is a real top-quality all-rounder in Tests. When Angelo Mathews burst on the Test scene on 4th July 2009, the cricketing fraternity sat up and took notice of his obvious talent. Now though, he has been on the world stage for more than 9 years and seems to be very injury prone. When he was leading the side, he added an extra dimension to the Test side. Now that he has relinquished the captaincy, they need to reconsider whether he continues to merit a place in the side or whether he should be given a break to try out new promising young batsmen. Mathews has played 74 Tests for Sri Lanka and has scored 4,992 runs at an average of 43.4 with 8 centuries and 28 fifties. The conversion rate of fifties to centuries is quite poor and his batting average is good rather than outstanding. He is 9th on the list of run scorers for Sri Lanka in Tests and his number of appearances is the 13th most for Sri Lanka in Tests. However, his bowling has been a major disappointment as he has taken just 33 wickets at an exorbitant bowling average of 52.66 and a poor strike rate of 116. 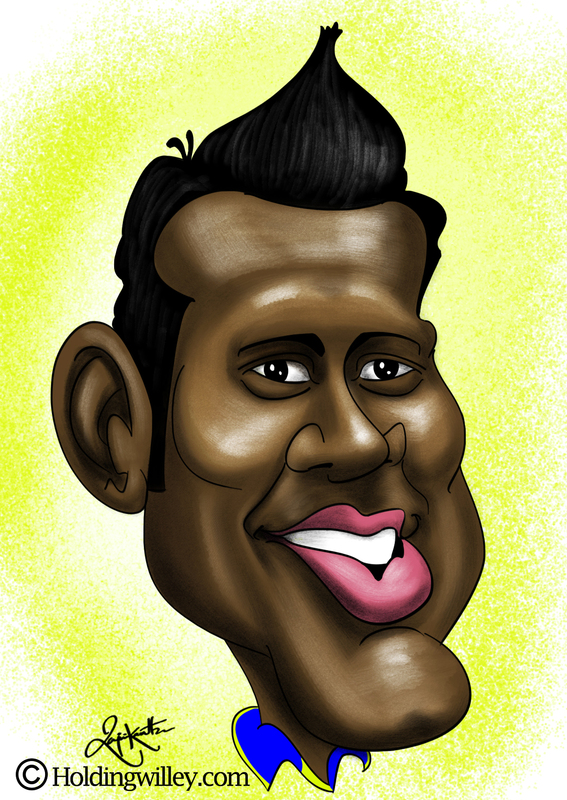 Out of the 74 Tests that he has played for Sri Lanka, Mathews has bowled in just 79 innings of those. He doesn’t have a single 5-wicket haul to his name. His best bowling figures are 4/44 against England at Headingley. He has taken more than 1 wicket in an innings on just 6 occasions and the maximum number of overs he has ever bowled in an innings is just 20. So, his value as a bowler has to be put in perspective. The figures show that he is not a genuine front-line bowler or prolific wicket-taker. He just bowls a few overs to ease the workload on the front-line bowlers or takes up the new ball if Sri Lanka go in with a solitary pace bowler. Moreover, starting with the Test against West Indies at Galle on 14th October 2015, he has bowled just 128 overs in 22 Tests, in which he has taken only 4 wickets at 78. He hasn’t bowled a single over in the last 9 Tests, so he should just be considered as a batsman at the moment. Even as a batsman, in his last 22 Tests starting from the Galle Test against West Indies in October 2015, he has scored just 1,191 runs at 28.35 with just 1 century and 6 fifties. In the same time frame, Dinesh Chandimal, Dimuth Karunaratne and Kusal Mendis have all scored more runs than him. Mathews had a steady rather than brilliant start to his Test career. He scored 1,668 runs in his first 31 Tests at 39.71 with just one century and 11 fifties. However, in his next 21 Tests, he made 2,133 runs at 68.8 with 6 centuries and 11 fifties. This was undoubtedly the purple patch of his career and was also the period when he led the side brilliantly as captain. Overall, as a captain, he has led in 34 Tests, scoring 2,802 runs at 50.94 with 6 centuries and 11 fifties. Sri Lanka has been led by 16 captains since they made their Test debut in 1982 and only Arjuna Ranatunga, Sanath Jayasuriya, Mahela Jayawardene and Kumar Sangakkara have scored more runs as skipper of Sri Lanka in Tests. If you consider batting averages as captain, only Sangakkara, Mahela Jayawardene and Chandimal average more than him. In the Test at Galle against South Africa, Mathews scored 1 and 35 in the two innings respectively and did not bowl in either of them. Once Chandimal returns to the side, a promising young player like Dhananjaya De Silva or Roshen Silva may have to make way if Mathews has to continue to keep his place in the Test side. Mathews is still only 31. He is at a crossroads in his career. Out of the 89 Tests that Sri Lanka has played since his debut, he has missed 15 of them. One is not advocating that he be dropped permanently, but a closer look needs to be taken at the role he plays in the side. Injuries have prevented him from bowling for the last few months and his contribution as a batsman in his last 22 Tests has also been negligible. At his best Mathews has been a very good batsman for Sri Lanka and has chipped in with the ball. Since his injuries flared up and he was relieved of his captaincy duties, his output with the ball has been almost non-existent and his figures with the bat have also been very poor. Unless, he turns things around soon, he should be given a break and a few young players should be given an extended run in the side.